Microbiologists Infectious disease specialists are trying to understand how certain microbial pathogens (protozoa, bacteria, fungi, viruses etc) cause disease in humans. With insights from microbial glycobiology new diagnostic methods can be designed to detect the infectious agent and also to determine if one bug is more virulent than another, thus, helping disease diagnosis. 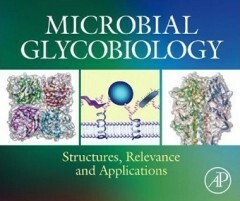 Microbial glycobiology allows them to examine the role that sugars play in the disease process and help them determine a way to prevent a pathogen causing disease. Hence, new insights will be gained that could aid boost the immune system, thereby new biotheraputics and vaccines are being developed. By determining the structure of glycosylated proteins, lipids and other natural products from microbes, researchers can reveal the location of the sugars. They then have the ability to modify and control which sugars are attached and exactly how they are attached. This is important as it enables them to modify glycosylated biomolecules that are important in disease processes and turn these into better drugs. Dieser Beitrag wurde am 06. Sep 2010 von Oliver Obst in e-Books veröffentlicht. Schlagworte: e-Books, Elsevier, Elsevierbuchpaket.